The Chatham-Kent Public Library will be featuring seventeen authors at the local author expo this weekend! Ever wonder how to publish a book? This author festival is for you! 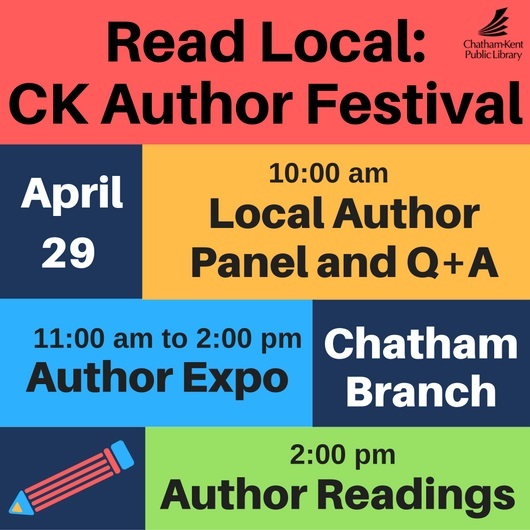 ​The event will take place on Saturday, April 29 from 11:00 am to 2:00 pm in the cafe at the Chatham-Kent Public Library Chatham Branch at 120 Queen Street, Chatham. Come out early and learn more about writing and the publishing process. Four published writers, myself included, will be forming a panel from 10:00 am to 11:00 am to answer all those writing and publshing questions! Can’t make it for the author panel? 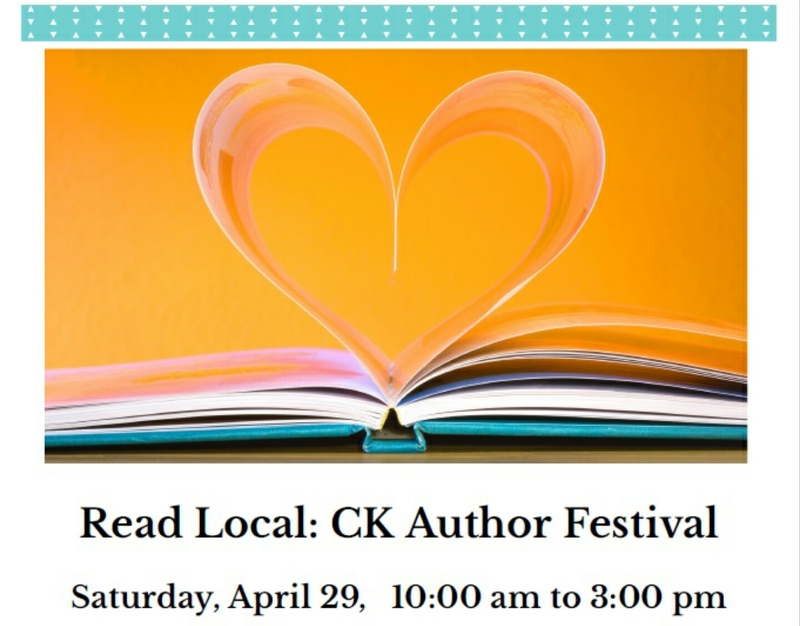 Stop by between 11:00 a.m. and 2:00 p.m. to meet some local authors, ask questions, support local by buying a book or two, or pop on over for author readings from 2:00 to 3:00. You won’t want to miss it! Celebrate our local writing community with the Chatham-Kent Public Library (Chatham Branch) on April 29th! You can READ MORE about this event here, or click the media release to visit the CKPL website. Here are the two visits happening over the next couple of weeks. If you’re from the area, I hope you’ll join me! Come to learn a little about self-publishing, chat with other readers and writers and/or to pick up an autographed copy of one of my books! Hope to see you there!